A scheme integrating wireless vehicle detection traffic signals, vehicle activated signs and a hurry call system has reconfigured a hospital junction in Scotland to address safety concerns and assist ambulance response times. Tasked with improving safety for the 11,400 motorists who use junction the next to the Borders Hospital in Huntlyburn, Clearview Intelligence worked in partnership with road operator Amey and Transport Scotland to install a combination of road safety solutions to control the flow of traffic without jeopardising response times for ambulances. 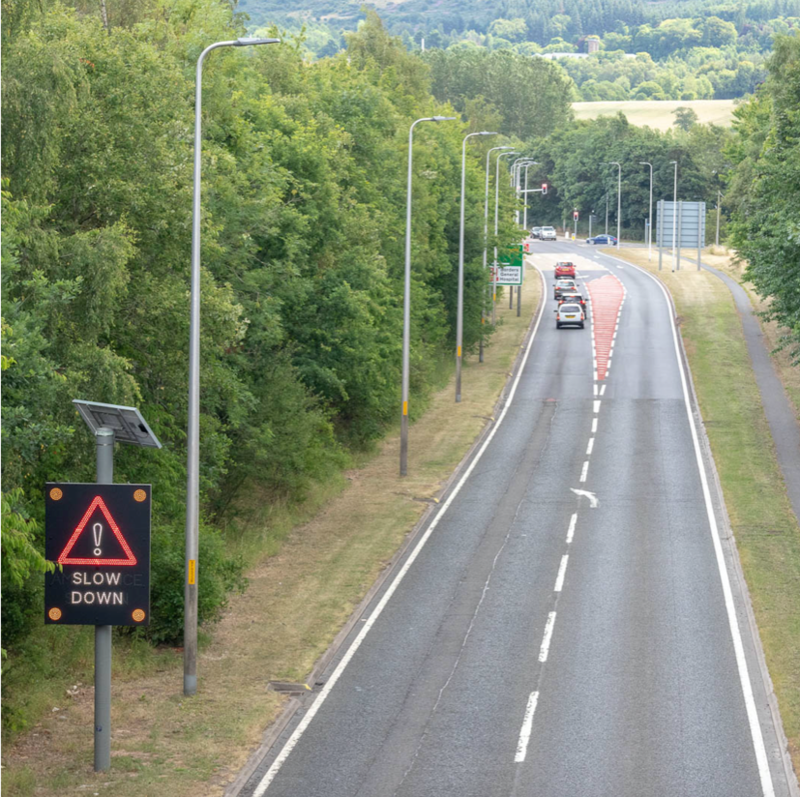 Chris Keenan, General Manager for Scotland at Clearview Intelligence, explained, “The challenge was to address road safety concerns by controlling the flow of traffic but without impeding the egress for ambulances on an emergency call out. By using vehicle detection, this monitors the build-up of traffic at the junction and informs the traffic signals to provide efficient sequencing to allow enough time for queues to pass. The solution centred around the installation of Clearview’s M100 wireless vehicle detection solution, which offers the same functionality as a traditional inductive loop. However, Clearview says that because the sensor is a stud fitted in the centre of the lane, it is faster to install than a loop as it does not require ducting or trenching; instead only a single hole needs to be cored and a power source is not needed.